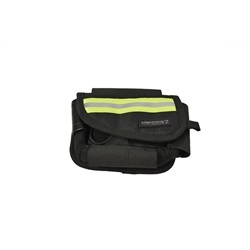 Lightning Products EMT Hip Pouch is made of nylon, leather and neoprene with lime yellow/silver reflective trim. 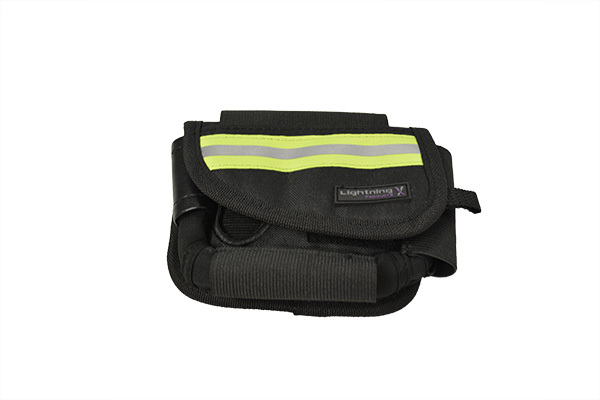 It's made to hold essential items such as trauma shears, penlight, bandages, flashlight, pocket knife, bandage shears and a special dispenser compartment for two pairs of medical gloves. Includes 3 ballistic nylon webbing loops and a metal spring clip so you can choose how to wear it.